Inovair has led the application of centrifugal products to new markets previously utilizing older, less efficient technology. Headquartered in Kansas City, our company and engineering teams have produced numerous innovations and have been awarded over 35 patents in the past 25 years. Driven to understand applications and customer needs, Inovair has become a market leader for use of centrifugal compressors and blowers wastewater treatment, aircraft ground support and other industrial applications. 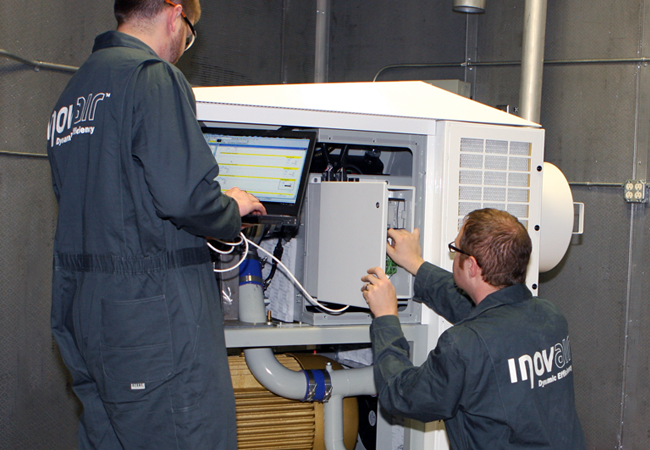 Inovair blowers are also subjected to extensive lab and field testing, ensuring your process needs are met. We strive to provide you a competitive edge by integrating progressive technology into your process. 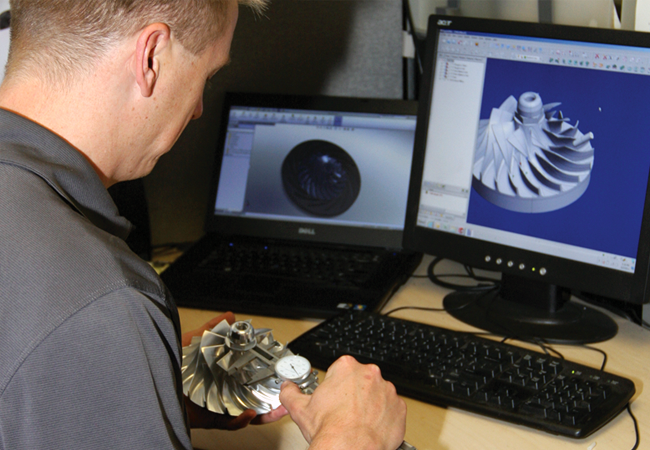 Our engineering staff makes use of state-of-the-art design programs to bring these concepts to reality. Inovair machinists faithfully reproduce these designs out of precision grade materials for tremendous strength and performance. 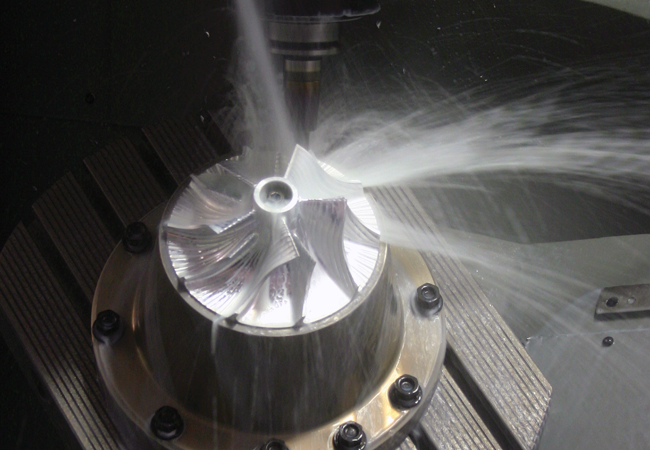 All impellers utilize aircraft-grade 7075 T6 aluminum allowing for larger impellers free of flaws typical in cast impellers. These structurally sound impellers are capable of high speed, which produce a reliable and efficient source of air. Inovair is the only manufacturer of centrifugal blowers and compressors (turbo blowers) which performs all of its manufacturing activities in the USA. All Inovair products are invented, engineered, machined, assembled and tested in the heartland of the USA, at Inovair’s facilities in Kansas City. Inovair’s design, build quality, performance and durability are second to none. Inovair is dedicated to the success of your business through the quality and durability of your process blower. 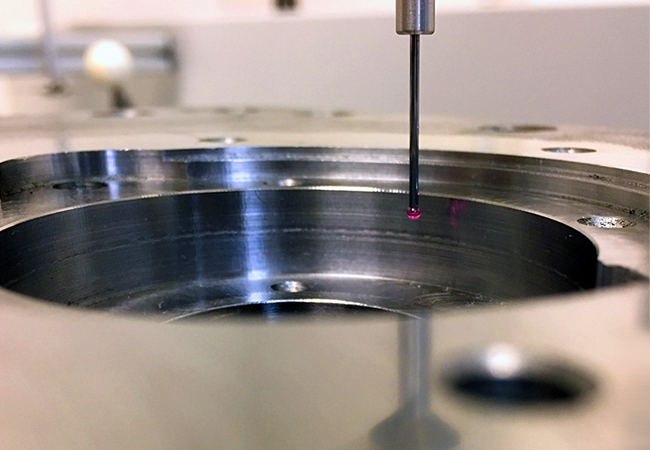 Our Quality Assurance is founded on prevention and sustained through live, continuous monitoring of the manufacturing, assembly and performance verification processes. While Quality Control is centrally organized by a fully equipped and staffed department, it is engrained within the culture at every level of the organization. Our mission is to support you with highly skilled and responsive support teams that know the meaning of reliability 24/7/365. Our support covers everything from equipment startup, to providing rapid response for replacement parts. 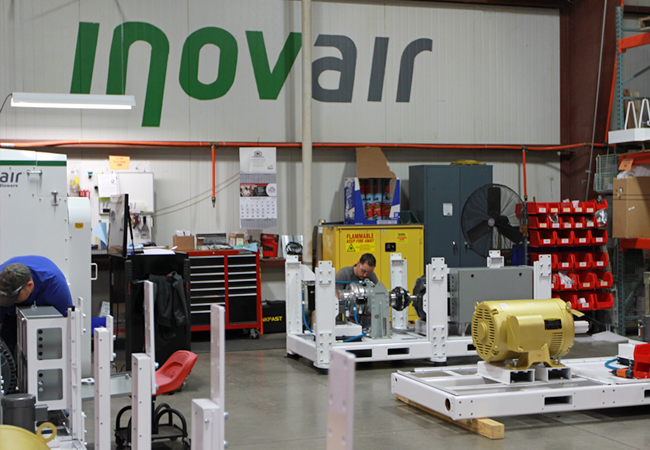 This support is backed by a full line of inventoried parts supporting all Inovair product lines. Whatever the situation, factory-trained personnel are ready to assist you, and can be reached at 855-Inovair (855-466-8247).